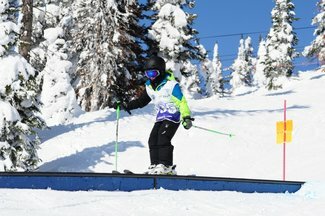 On behalf of Silver Star Freestyle Club, Silver Star Mountain Resort, BC Freestyle and the organizing committee for the 2019 BC Freestyle Timber Tour, it is our pleasure to invite you to attend Timber Tour #3 to be held at Silver Star Mountain Resort from March 28th to March 31st, 2019. The success of these events depends on volunteers. No training required. A limited number of volunteer lift tickets will be available for those who sign up. Please sign up early. Starter is in place at the top of the course with a radio. This person reads off the bib number of the competitor provides judges and competitor start count downs on radio. Start Asist works with starter to get competitors in order prior to their start. Knoll Master watches the landings during training and closes the jump if someone falls on the landing. During competition knoll masters work to clear snow from the in-run to each jump and keep the jump knoll groomed. Like to stay warm - under the direction of the chief of office - will help with tasks such as registration, check in, and computer entering. Manages registration, check in, and office administration. Please contact Teresa for information at 250-307-3979, Thanks!